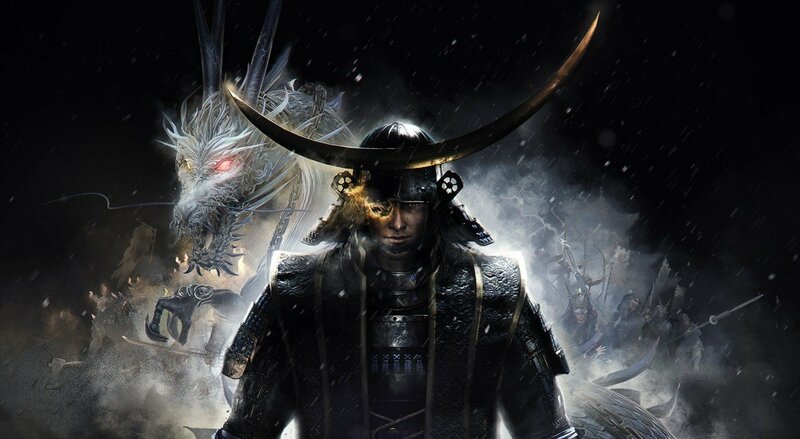 Transcending Souls: Nioh Is More than a "Souls-like"
Yes, it’s derivative, but does Team Ninja’s long awaited title do more for the genre than From Software has for a while? The term “Souls-like” is thrown around these days for any game that strays even close to From Software’s popular style. For Honor has Souls-like combat (it actually doesn’t); Lords of the Fallen is Souls-like from top to bottom, and The Surge is definitely, unapologetically Souls-like. It might be a genre unto itself, but there’s nothing wrong with a developer borrowing a popular idea and trying to put a new twist on it. Nioh, the latest Souls-like hit, comes from Team Ninja (those of Ninja Gaiden and Dead or Alive fame), which means its claim to the hard-as-nails action adventure lineage predates From’s Demon’s Souls becoming a cult classic, and certainly before Dark Souls bore Bloodborne. This is a developer that made brutally difficult games, both praised and lambasted for unfair challenges alike, that featured copious amounts of nonsense that might seem outright broken in a modern videogame. So how is it that a game in development since 2004, by a team that, not long ago, was putting out the woeful Yaiba: Ninja Gaiden Zero, has just delivered the best combat in a Souls-like game since Dark Souls itself? It may seem crazy, but first and foremost we have to talk about performance. Being a PS4 exclusive might afford it some extra bells and whistles thanks to the PS4 Pro, but Bloodborne was also an exclusive, and neither From nor Sony appear to have interest in making their phenomenally dark universe run better on the latest hardware. Nioh runs beautifully, with options to allow choice between a cinematic experience, or one that has a high frame rate and feels more like a PC game than a console one. This is important because From Software has always struggled with optimization. From the days when smashing through barrels would tank the frame-rate, to Bloodborne’s well documented performance issues and load times, even right up to Dark Souls III, which struggled to maintain a solid 30 FPS frame rate in some areas at launch, Nioh instead offers the option to prioritize performance over aesthetic, and it’s a welcome choice, meaning we can have a smooth game to play through. But it does look great, and channels titles that many people would love to see make a comeback, like Capcom’s Onimusha. The feudal Japan environment means that all those fast paced weapons feel beautifully at home, and there’s a sense of humor (talking cats, anyone?) that offers levity to an otherwise oppressive, demonic atmosphere. So while From’s games are (and I say this as a fan) sometimes fairly generic fantasy affairs that you’d see in the likes of Final Fantasy, this realistic setting lends gravitas to the overall feeling. The weapons, while obviously fantastical, are also grounded in reality and make sense. Samurai swords in a samurai setting: as it should be. Even saving your game feels region appropriate, and the whole product just feels steeped in its setting. There’s nothing out of place here, aside the talking cat, of course. But it’s the combat that truly makes Nioh such a standout affair. Ten hours in you might think you’ve got a handle on how it all works, but I guarantee you haven’t, and nor have I. It’s slightly obscure and will take some learning, but the Ki Pulse move adds layers to an already rewarding, complex system. Wade in on an enemy and hit the R1 button and you’ll grab some stamina back, meaning you can (theoretically) keep attacking, within reason. Players are still learning what this means for the PvP update that launched in early May, but the thought of that alone has been exciting since the game first launched. With three stances that give you different moveset options, there’s an unbelievable amount to master. Switching to a low stance means you are quicker, and can get in and out with a flurry of attacks, before retreating. The mid stance allows for a balanced attack and defense, but the high stance means you can deal serious damage, while sacrificing mobility a little. The beauty of this is that it doesn’t matter what weapon you are using. If you fancy switching to a massive axe, you will still have quick options via the low stance. Unlike From’s games, combat is less focused on specific weapons, and more on the skill of the weapon wielder. While you still have to pay attention to your stats, and make sure you’re not overloading your character, it’s a perfectly viable option to have dual katanas as a primary, and a heavy hammer as a secondary. Sure, you might end up with a favorite moveset, but you won’t feel you have to spend the entire game with the one sword that you just keep levelling up. As you progress, you gain points that let you progress through the skill tree, too, and these new, unlocked moves can be set to work on specific stances only. This means that you can have a combination of buttons that does one move in a high stance (perhaps it’s a high damage attack, and it works best with your high damage stance), but that same button combo does something different when in the mid and low stance. While Dark Souls III adds weapon arts that promised excitement but were ultimately forgotten pretty quickly, Nioh is offering ridiculous levels of customization that, if you want to, you can completely ignore. It might be a while before all the secrets of the combat are unlocked. High level play means that there are already strategies out there for completing this monster videogame in under two hours, and part of that is thanks to the Onmyo magic options. These Justu talismans can gift your weapons with elemental abilities, and as we all know, certain enemies will be weak or strong against these. But again, Nioh doesn’t require you to spec as a magic build; it has a separate system for Onmyo skill points, and won’t punish you for creating a character exactly as you want it. There’s definitely some juggling required to ensure you have the correct number of Onmyo slots, but it won’t ever feel as though you’re being forced away from melee combat and towards a magic-only build. The combat is almost perfect, and I only hesitate to call it perfect because I don’t feel like I’ve mastered it. The Ki Pulse adds a dynamic feel to every battle, and even the simplicity of being able to see an enemy’s stamina bar as well as their health just makes it feel like every battle is a special, one on one encounter. Nioh’s combat feels fair; it feels balanced, and even tough battles feel surmountable. Nioh is a genuine masterpiece, and for a change, it’s now From Software who will have to up its game. The King may not be dead quite yet, but Team Ninja is well and truly nipping at its heels. New intellectual properties are a rare commodity these days, but in an industry defined by big budget hype and pre-order bonuses, it’s refreshing to find an already polished diamond, just calling out to be played. Adam Cook has written words and made videos on games for Red Bull, GamesMaster, GamesTM, Kotaku and more. He edits God Is a Geek and is on Twitter @jebusf.